A bilingual Livonian-English poetry anthology “Trilium/Trillium” contains the poems of Baiba Damberga, Valts Ernštreits, and Ķempi Kārl. This is the first modern Livonian poetry anthology of its kind and its three authors can be considered to be the only ones in the world who write poetry in Livonian at present. 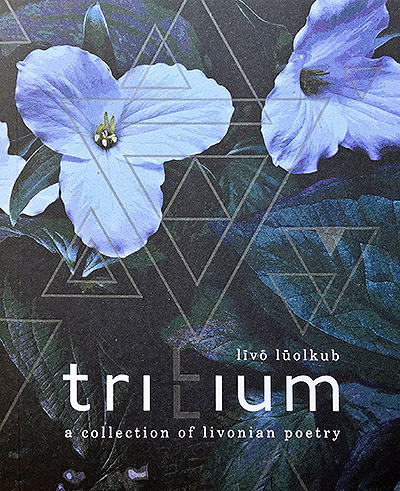 “Trilium/Trillium” traces the path of Livonian book publishing along its 155-year long journey – from the first book in Livonian (The Gospel of Matthew in the Eastern and Western dialects of Livonian), published in London in 1863, up to the publication of “Trilium/Trillium” in Rīga, the first ever anthology of Livonian poetry in English.